Over the past couple years I had heard about castor oil packs and being beneficial for women's health issues. I'd never thought to try them out until recently as I've increasingly been under suspicion of Endometriosis. I've dealt with very painful menstrual cycles for at least the last five years. I'd never really had painful menstrual cycles or any abnormalities related to my reproductive health until about five or six years ago when there was a sudden and abrupt change in my cycles. The change coincided with my stopping hormonal birth control. I decided I wanted to cleanse my body of unnecessary medications. I felt like being on hormones was not a healthy or natural state for my body and the medications may be contributing to some of the issues I was experiencing as my thyroid function was deteriorating. I sought out other means for birth control and discovered the Fertility Awareness Method, which is a natural form of birth control based on a woman's menstrual cycle. It requires a lot of research, learning, and commitment to tracking your monthly cycles by taking your temperature once a day upon waking and charting some very fundamental factors throughout the month. It can be overwhelming in the beginning but absolutely worth it. The amount of information women's bodies are capable of relating when you know how to interpret the information is amazing. I wish every woman was educated in having to learn about FAM. It amazes me when I meet women and they know very little about their own bodies. If you're interested in learning more about FAM, I highly recommend picking up a copy of Taking Charge of Your Fertility by Toni Weschler. This is seriously the holy grail of FAM books. Charting has also been made easier in the digital age with the wonderful use of apps. I use Kindara for my own charting. I even have the Kindara Wink thermometer which automatically downloads my temps into the app. I've been using the Wink thermometer for about a week and a half and will plan to write a review on it in the near future. So in the world of FAM, castor oil packs (COPs) are very widely discussed as being beneficial to women's health. Castor Oil is derived from castor seed. It has a long history of medicinal healing uses. The COP is used as a topical therapy. You can easily purchase a kit on Amazon that includes all the necessary items to create your pack. To use a pack, you can go the less messy route by applying the oil directly to the desired area of your body and then covering with the flannel cloth, then plastic covering, then a heating pad. The oil can stain so it's stressed to take precautions so as not to get the oil all over anything you don't want ruined. The oil is also thick and sticky like honey. You can easily get a little silicone kitchen brush from the local store to aid in spreading the oil over the desired area of your body. GLAD also sells plastic cling wrap which would work perfectly to seal the flannel cloth so the oil does not stain your heating pad. So, I decided to give a Castor Oil Pack a try to see if I personally notice any of the benefits that are widely claimed. Within 5-10 minutes of my first session, I needed to have a bowel movement. I marked that as being successful and I'm a quick responder. I have recently gone low carb with my meals so if you're also a low carb patron, then you know if you have any carb binges that things in the intestinal area tend to slow down. Like a dietary punch to the gut. A few days prior to using the COP and the day of, I had indulged in some high carb food items. I was feeling bloated and just the general carb fatigue. My COP fixed things right up. I'm going to work my way up to the one hour increments and use the packs three times a week. In addition to using the pack, I plan on incorporating my Bed of Nails acupressure mat for total relaxation. I'm still using the Bed of Nail sporadically to help with sleep. 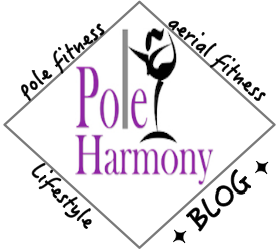 For more information on the Bed of Nails, read my blog post: "Acupressure Bed of Nails for Pole Dancers and Aerialists?" I'm going to continue to experiment with my COP and keep track of any changes that I notice along the way. Have you tried castor oil? If so, feel free to comment and let me know how you used it and how it worked for you.